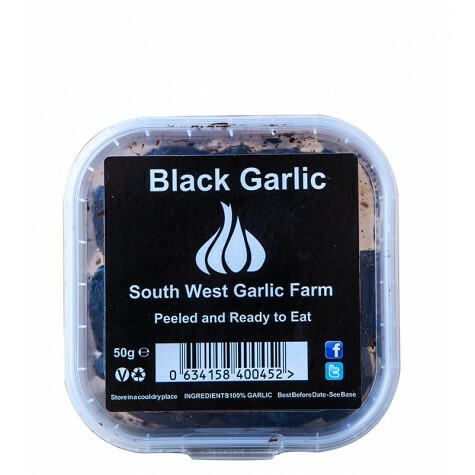 Peeled black garlic, grown round the corner from us in Dorset. Black garlic is created when the amino acids and sugars react at a certain temperature and humidity, then it turns almost black, with a jelly‑like consistency. The taste is like fine balsamic vinegar with a slight smokiness and some citrus overtones. The process takes 50 days: 40 days in the fermentation room and 10 days very slowly drying out. 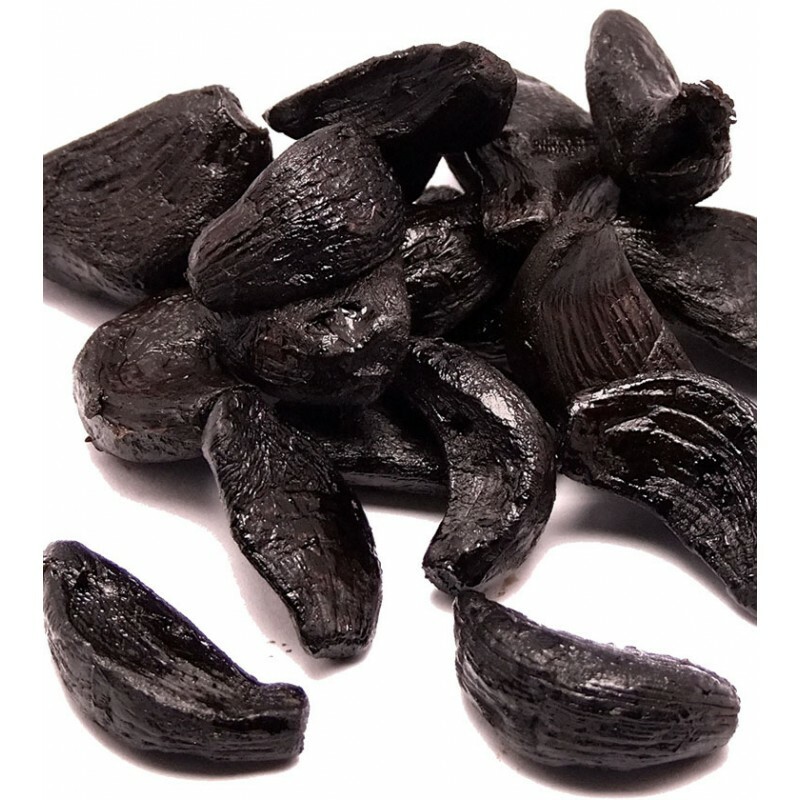 A huge hit with top chefs and now home cooks, black garlic is extremely versatile. Use it anywhere you would use normal garlic for a rich flavour without the pungency or acrid bite. Chop some very finely, add it to warmed butter and pour it over steamed asparagus or make a shoulder of lamb with a British black garlic crust. Just crisp up some breadcrumbs in the oven, let them cool, then combine with six cloves of the garlic. Coat the lamb shoulder in the breadcrumbs and slowly roast. Delicious! Combine white miso with black garlic, black garlic sugar, a drop of water and a pinch of salt then reduce to a sticky treacle-like consistency. 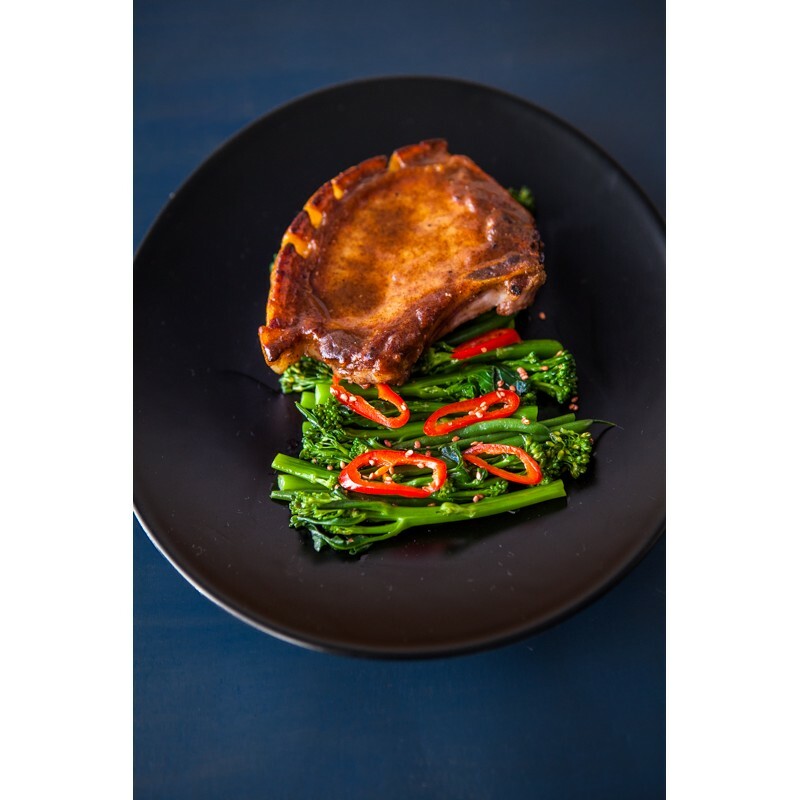 Brush onto a pan-fried pork chop before finishing in the oven then serve with green vegetables, chilli and sesame seeds. A versatile strongly-flavoured glaze that could be used for a variety of meats.